Welcome to the November edition of the Bright Ideas Link-Up! My first link up with the Bright Ideas Link-Up is actually one of my favorites! How do you tame your task cards? Click on the picture above to go to that post. I also love the post where I shared how students sign out to go to the bathroom. This post is one of my most pinned posts. Click on the picture above to check out that post. The last Bright Idea I'm re-sharing is the tip on how to save on wall space. This tip came from a teacher-friend and it saved me a lot of headache! 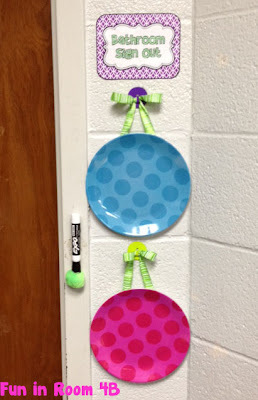 I hope that you’ve enjoyed these bright ideas, and that you have found an idea that you can use in your own classroom. Be sure to check out the link up below for tons more bright ideas from my friends!